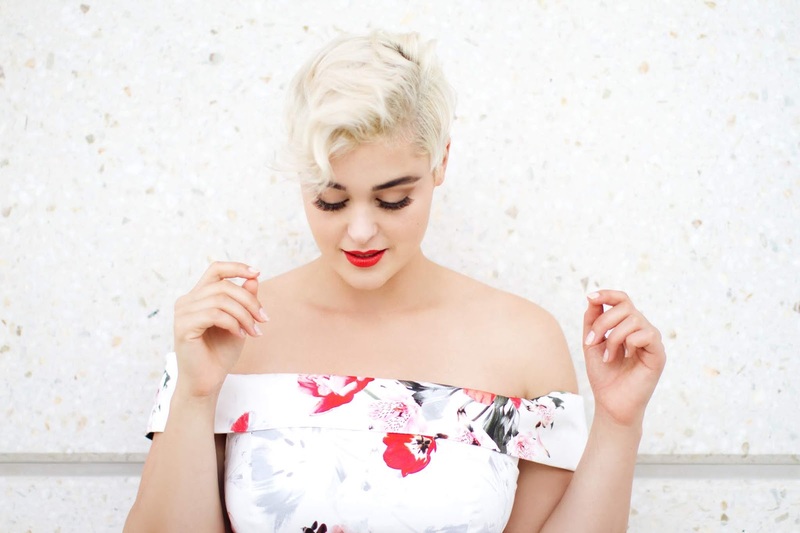 It's hard to believe model Stefania Ferrario started out as one of our local creative talents. Her modelling portfolio alone is a long list of high profile brands including Sportsgirl, Target, Berlei, Melbourne Fashion Week and Myer as the face of their latest beauty campaign. She has modelled along side Dita Von Teese for her Dita's self titled lingere label. 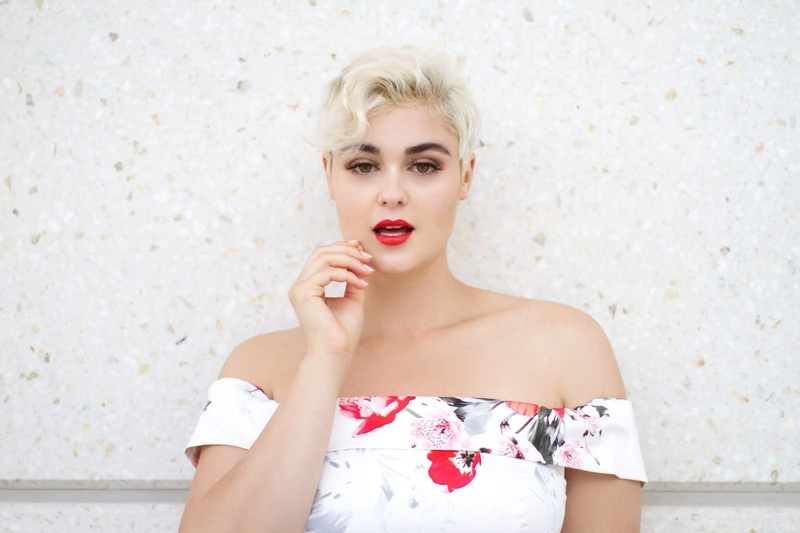 Stefania is clearly making waves in the world of modelling since starting out at the age of 16 and is known for her signature blonde pixie, stunning features and hanging out with Dita Von Teese. Yet Stefania is not just a pretty face, she has a strong voice and is not afraid to use it as an advocate for diversity in the modelling industry. Asking the question as to why models are being labelled 'plus size' when they are well within the size of the average woman. She is the woman behind social media movement #droptheplus which she first posted about in 2015 and ever since, caught global attention from media outlets such as news.com.au and elle magazine. She is a social media influencer with over 40,000 followers on facebook and 623k followers on Instagram and the hashtag (#droptheplus) has been mentioned over 20,000 times on Instagram and counting. There is no doubt through this movement, Stefania has inspired thousands of young aspiring models to follow their dreams without the expectation of changing who they are to fit into a certain stereotype. Aside from the #droptheplus movement I was curious to ask this boss babe a little more about her modelling career. SP: You’re modelling career has taken great flight and is going strong. Tell us how you started out in the industry and what was it about modelling that inspired you to pursue it as a career? SF: I’ve always loved to perform and be in front of the camera. I decided to really go for it when I was 16, I paid a photographer to take a series of pictures of me that I used to start a portfolio. I began approaching other photographers, makeup artists, hairstylists etc to collaborate in making images. I did this for about four years before I landed my big break. It took a long time of pushing myself and also getting pushed back. I like to say “where there’s a will there’s a way” though! SP: What has surprised you about the modelling industry? That I can actually model at the size I am, about four sizes larger than your regular model. It’s also nice to see that there is change in regards to age diversity too. I think the industry is slowly but surely moving in a positive direction. SF: As a model with a signed agent, how much control do you have over your own brand? I am lucky that I can still do my hair as I want (I still have to tell them and consult them before any drastic changes of course). I also still organise my own shoots for fun and I do them in the vibe and style I am after. I think that if my agency started really trying to control my brand to an uncomfortable point, I would have to break ties. SP: What has been a recent ‘pinch me’ moment? SF: Hmmm probably having dinner with Dita Von Teese, and really getting to know her before our lingerie shoot earlier this month. SP: You have caused a much needed disruption to the modelling industry with the movement #droptheplus. Tell us a bit more about it and how it come about? It came about very accidentally, I just put a post up with some of my feelings towards the industry, in particular it’s need to call models over sample size “plus size”. 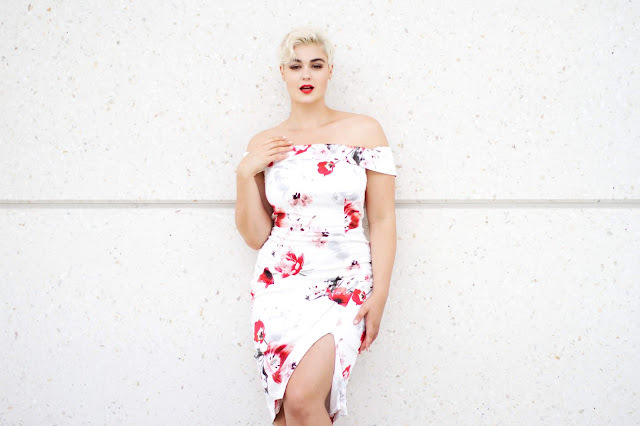 Plus size is used to describe models even if they are smaller than the average woman. It just makes no sense. It’s misleading and gives the implication that unless you’re size 2 you are just “an other”. The hashtag just went viral and grew a life of its own, the rest is history! I just want to remind them that they are equal to any other model, our size doesn’t dictate our worth. Q7: What is next for you? Any exciting projects in the works? I am giving a talk on mental health at the YMCA youth summit this month, mental health is close to my heart to I am really looking forward to it. Q8: What advice would you give to young women who are pursuing a modelling career? Go for it! Approach agencies, ask or arrange a photographer to help you start a portfolio. I don’t think that anything should hold you back, age, size whatever, make it work in your favour! Everyone needs a role model in life and who’s to say that you won’t be theirs? Modelling and photos can really have an impact on an individual and the public. We all need someone we can relate to so just do it!! Don’t let anyone tell you otherwise! Q9: What is your business mantra? Let the brand and image you create be a real reflection of who you truly are. Q10: What is your life mantra? It was such a pleasure to chat to Stefania. I have been lucky to have worked with her on a few styling projects and she is magic in front of the camera.